It has been quite a few weeks of questions as Caden has begun to understand that the world is bigger than him. Yes, every parent gets questions like these at some point, but Caden’s newly acquired sense of wonderment coupled with his Autism has led to a whole new set of parenting challenges for this already challenged parent. During calmer times, Jenn and I convinced each other that the communication and relational challenges associated with raising a son with Autism have enriched us as educators, allowing us to appreciate different types of learning, expressing, and emoting. Being faced with the above questions, however, has pushed the boundaries of my ability to wax poetic. 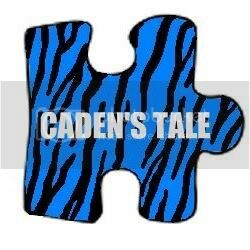 Poetics and Autism (at least Caden’s version) do not mix. My standard answer of “I don’t know” doesn’t work with the “Daddy….questions—they are too important and deserving of answers. I also can’t lie to him and tell him a fairy tale because he will hold it against me later if it doesn’t turn out to be true. I opted instead for answers involving faith and trust that everything will work out for the best. I should have known—faith, trust, and the promise of a better tomorrow are far too abstract for Autism. Caden’s reality is literal, concrete, non-metaphorical, and my answers were, well, not. Those answers that can allow us to buy time until our children grow older and develop a stronger sense of themselves and the world don’t work with Autism. It is a shame that kids who already have a hard time in the world can’t be afforded the same protection from it that neuro-typical children often are. Are there better answers to these questions? Of course there are, but they are what I had at the time, and what seemed to be the most concrete answers I had for very difficult questions. I never imagined that metaphors—tools of language to help us understand difficult concepts—could create such problems. My parents: Although they’ve always been my worst critics, they have also been my biggest supporters and without them there’s no way I could handle what I do today. My daughter: Ryley is fond of saying that we’re a team and she’s right. We’ve been through so much together and while it breaks my heart that she’s not a little girl anymore, it is inspiring to watch the young lady she is becoming. My husband: I really doubt that Dan had any idea what he was getting into when he married me but he has never complained over the chaos that Ry and my cats brought into his life. I am truly lucky to have an equal partner in this life through the good and the bad. Caden: I was really worried when I found out I was pregnant with a boy; I had no idea how I would relate to a son but in the moments following his birth, looking into his brilliant blue eyes, I was totally and completely in love. My education: while it certainly helps with employment, it has also given me the skills that I need to research all of the ins and outs and options that come along with having special needs kids. 4 Paws For Ability: Karen Shirk and her trainers are heroes and the world is truly a better place because they devote their lives to improving and saving the lives of so many people through their amazing dogs; they are even able to rescue a few animals along the way which makes them all kinds of heroes in my book. Elf: It was given with 4 Paw’s reputation that he would be a well-trained highly capable service dog but I will forever be grateful for him being my son’s best friend and for being such a sweet ambassador that opens the door for other friendships for Caden. My fur babies: Each one of them has come into my life for a reason; sometimes they needed me and sometimes I needed them. Each one, past and present, holds a special place and memory in my heart and I can never thank them enough for the nights that they keep my insomnia and heart company. The makers of Coca Cola: Lots of stress with little sleep is the perfect scenario for an addiction. I’m just thankful that my addiction is legal, full of caffeine, and oh so yummy. My online friends: I haven’t met any of this wonderful community of people but yet they are the ones who are usually first to help me with answers about autism, immune deficiencies, and sometimes just life in general. Plasma donors: Again I don’t know any of these people but if it weren’t for them giving up their time and a little of their plasma, my children wouldn’t be able to receive the life sustaining immunoglobulin infusions that they desperately need each month. The Immune Deficiency Foundation: They are advocating for and bringing much needed awareness to primary immune deficiencies and provide many of their resources to no charge to families affected by these diseases. Autism Speaks: While I know their organization is often involved in controversy, I am thankful that they are devoted to autism awareness and again I’ve relied on a number of their resources when I didn’t know where else to turn to for reliable information. Animal Rescue Groups: There’s so much cruelty out there in the world and while I wish I could safe every animal, I know that I can’t. I’m thankful that volunteers around the world devote their time and money to rescuing animals in abusive situations or in times of disaster. Ipads: My children spend a lot of their time in the car riding to appointments, waiting for appointments, and hanging out in hospitals. Additionally we haven’t always had access to certain therapies for Caden and I’m thankful that we were able to obtain ipads for both kids that simultaneously educate and entertain them. Taco Bell: Strange but true fact, it is one of the few foods that always makes my daughter happy when she doesn’t feel well. Sometimes when you can’t do anything else, it’s really the small things that matter. Super Mario: For providing hours and hours of entertainment and pure joy for my son. I’m thankful for anything that makes him smile. My son’s voice: When Caden went from several dozen words to only two and mommy was one of those words that disappeared, I wondered if I would ever hear my precious baby’s voice again. Although he highly repetitive and there’s usually a word we hear a thousand times a day, I never take for granted his sweet sweet little voice. Music: Although I have no musical talent, I am thankful that others do. Sometimes a great song and a pair of headphones are exactly the escape a person needs when a vacation or day off aren’t possible. I love how there’s always a song for my every mood. The kindness of strangers: There are a lot of nasty people out there but for every one of those, there are equally wonderful people who are willing to drop anything and everything to help a stranger. Sometimes it is sending your sick child a card, other times it is holding a door while you haul a melting down child out of the store. Books: For as long as I can remember I’ve loved to read. Reading is such an amazing escape and lets you go places that you might not ever physically be able to go; having a few minutes to read a book always feels like a precious treat. Bloggers: There are some amazingly talented people out there who so generously open up their lives to us and help us understand a disability or a new perspective and I’m so fortunate to call a few of those people my friends. Activists: I’m eternally grateful for the people who devote their lives to being the change that they want to see in the world. Without them, I wouldn’t have the ability to vote, the opportunity to obtain a fair and inclusive education for my son, the right to walk into stores with a service dog, and so many more privileges. Pictures: I love to be surrounded by my family and when I can’t, it makes me happy to have their pictures spread around my office at work and even around my house so that I am always surrounded by those dearest to me. Trampolines: While I usually hurt myself when I try to be cool and jump on it, it is the perfect outlet for both of my kids. Sometimes it is a therapy device for my son and sometimes it is a stress reliever for my daughter but they always enjoy their time out there. Best of all, they both like to jump on it best when they are together. Therapists: From occupational therapists for sensory issues to physical therapists for sports injuries to speech therapists for communication challenges, some amazing people have devoted their time to improving my children’s quality of life. Teachers: Both of my children started out school with kind, passionate, dedicated teachers who instilled in them the love of learning. They both view school positively and it is entirely a result of the amazing teachers they have had along the way. Alternative foods: We have a lot of restrictions in this house (we’re vegetarians, milk protein allergies, soy allergies, gluten sensitivities, carrot allergies, and the list goes on) and although I cried the first time I tried to grocery shop with just one identified food allergy, I’m now immensely thankful for the growing selection of alternative food items at every day grocery stores. Blankie: I’m a secure adult; I can own the fact that I have a blankie. We’ve been through a lot together and I’m extremely grateful that it hasn’t fallen apart because as we all know, blankies simply can’t be replaced. “Old” McDonalds: Every Sunday morning (and every infusion Saturday), my husband brings “old” McDonalds home and we sit around the table in the family room and eat it together. It’s probably the closest thing we have to a tradition and something that every single member of our family enjoys. Come on, admit it….the song makes you smile (and not to mention it’s the Chipmunks). We all remember the ever so adorable All I Want for Christmas Is My Two Front Teeth holiday song, right? Now try singing it All I Want for Christmas Is My Back Tooth and a Steel Bar…..not quite the same feel is it. First a disclaimer…..this blog is all me. As in me, ME, me. But in fairness I figure I share enough of the kids’ lives that I should probably tell an “oops” of my own. The other day I made fun of my “lucky” bamboo plant. It just isn’t looking healthy (apparently the experts are serious when they tell you to keep it watered at all times), and I cracked a joke that I wasn’t worried because how lucky could a plant be anyway. Then I went home, and an hour later my tooth fell out. Let me repeat that, just in case you missed it, MY TOOTH FELL OUT. What ensued next wasn’t pretty. I cried, and cried and cried, and then I cried some more. Maybe you are thinking that I cried because it hurt—not the reason (although it did, and does, hurt). Maybe because I knew it was going to be expensive to fix—not the reason (although it will cost buckets and buckets of cash). Hassle? Inconvenience? Nope and nope. Plain and simple I cried like a baby because I’m absolutely and completely terrified of dentists. Back-story time. When I was 6, my dentist told me he was going to feel my teeth; instead he pulled several. I’m not a huge fan of unexpected pain; unexpected pain and unexpected blood even worse. This isn’t about the pain, though, as much as it was the unexpected nature of it. Fast forward to my 16th birthday—had my wisdom teeth out (thanks mom and dad for the timing on that one). Oh and my boyfriend broke up with me the night before (hey you out there, you know who you are, don’t think I’ve forgiven you for that one yet—your timing stinks!). And then because my molars wouldn’t play nice and just come in, I had to go to the oral surgeon every Friday for several months and have the gums around those teeth cut and burnt off. Interesting this wasn’t unexpected pain, but the smell and sounds added a little more to my phobia. Oh and my oral surgeon used the time to try to fix me up with his son…every single week. Of course that same son is now a very successful (and wealthy) surgeon (but don’t worry honey—I’m glad I married you instead, I always take true love over being absolutely stinky rich….honestly). Add post-traumatic stress disorder to my dental phobia and you’ve got a lady who isn’t going anywhere near the dentist unless she absolutely has too. Now in case you are wondering I did try therapy for a while, but even the every so kind and patient therapist concluded that I’d be best to just be medicated when dentists were involved. So how does that get us to my tooth falling out. Well that darn filling apparently leaked and that led to an infection setting into the tooth which then traveled up the roots into the bone. On Tuesday I have a 2.5 to 3.0 hour dentistappointment that is going to involve lots of different kinds of x-rays to see where all this infection has spread and how many teeth and how much bone is affected. Then on the 27th I see…..(gulp) an oral surgeon. At minimum the ½ a tooth has to come out and a steel bar has to be placed into the bone so that they can create a new tooth (see there is a new tooth although it won’t be done by Christmas because this is going to be a 6-8 month process). If the infection is too deep they may have to cut out some bone and some more teeth and bars may be involved. Let’s recap—pulling teeth, cutting bone, screwing metal bars in, 6-8 months of dental work and as an added bonus they don’t typically sedate you for this procedure. Wanna bet they change their mind after they see my reaction to the consultation??? So in case you are wondering, my bamboo plant received room temperature bottled water yesterday and day. If that doesn’t make it happy I’ve promised Evian water or maybe even its own pond constructed out of a little inflatable pool in a temperature controlled room. And for good measure I am polishing my chakra stones, keeping an eye on the alignment of planets and repressing my 4-leaf clover. The rabbit’s foot I of course left on the rabbit because his luck is greatly improved that way. And I’ll just keep singing my request to Santa for my new tooth and bar for Christmas although I doubt it’ll be as cute as when the Chipmunks did it. So how does that get us to my tooth falling out. Well that darn filling apparently leaked and that led to an infection setting into the tooth which then traveled up the roots into the bone. On Tuesday I have a 2.5 to 3.0 hour dentist appointment that is going to involve lots of different kinds of x-rays to see where all this infection has spread and how many teeth and how much bone is affected. Then on the 27th I see…..(gulp) an oral surgeon. At minimum the ½ a tooth has to come out and a steel bar has to be placed into the bone so that they can create a new tooth (see there is a new tooth although it won’t be done by Christmas because this is going to be a 6-8 month process). If the infection is too deep they may have to cut out some bone and some more teeth and bars may be involved.